Latitude 41: Discover American cuisine culled from the highest quality local ingredients at Latitude 41, our restaurant in downtown Columbus, Ohio. Renowned for its cuisine, service and setting, our all-day restaurant offers casual dining in the heart of the city. 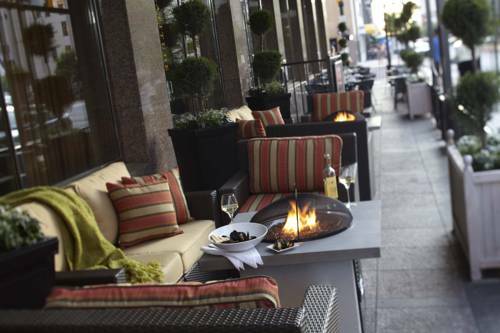 Bar 41: Join us at Bar 41 for lunch or visit at night when it transforms into a downtown Columbus hotspot. Our chic cyber-caf bar offers the same delicious cuisine as Latitude 41 restaurant, accompanied by a wide range of alcoholic and non-alcoholic beverages.